The holidays are great. There’s time spent with family, and for many people, time away from work. For school-age children, there’s lots and lots of time away from school. It can be a challenge to fill all those free hours with productive activities. 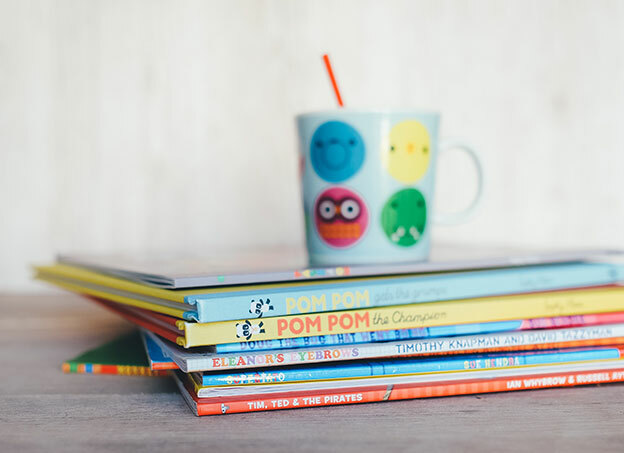 One of the ways you can use this time is to reinforce your children’s reading habits with books that are fun and relevant for the holidays. Here are a few that offer some great lessons for this time of year. During any time of year, it can be difficult for children who have different backgrounds and traditions than their friends. But especially during the holidays, it’s sometimes hard for children to explain and understand why their family’s traditions may be different than everyone else’s. In this book, a little boy learns to appreciate having a family that participates in multiple traditions. Over the course of the book he finds a way to help his friends appreciate this, too. This is a book for beginning readers to learn about celebration of Kwanzaa. Kwanzaa is an African-American holiday that falls during the Christmas season in the United States. It uses Swahili principles to celebrate family and community during a seven-day period each year. This year, Kwanzaa begins on December 26th and ends on January 1st. The book explains all of the principles of family and community that comprise the seven days of Kwanzaa. It tells the story of how one little girl’s family recognizes the holiday and spends time together during their favorite time of year. This is a classic Christmas story that parents and children can enjoy together. It tells the story of the Grinch, a cranky character who lives outside the tiny town of Whoville. The people of Whoville just adore their Christmas celebrations and go all out every year decorating and singing songs. When the Grinch decides to steal their Christmas joy, he sets off on an adventure that leads him to learn a warm lesson about the spirit of the holidays. This one is a straightforward feel-good story that connects with children’s imaginations to tell a story about friendship. Sherry Dusky Rinker has added this holiday story to her best-selling Construction Site collection to teach an important message about helping others during the holidays. Parents and children can both enjoy this wonderfully illustrated and rhythmically narrated book about forklifts helping their firetruck friends during the most wonderful time of the year. There are a number of books that children can enjoy during the holidays. And many are written so that young readers can handle them on their own. Whether you’re picking a book to challenge a beginning reader, or selecting something to read together, a trip to your local bookstore can be a great way to keep curious minds occupied during the winter holidays.